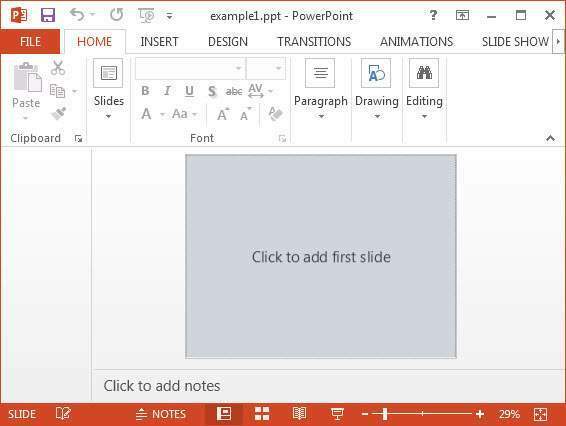 Generally, we use MS-PowerPoint to create presentations. Now let us see how to create presentations using Java. After completion of this chapter, you will be able to create new MS-PowerPoint presentations and open existing PPTs with your Java program. 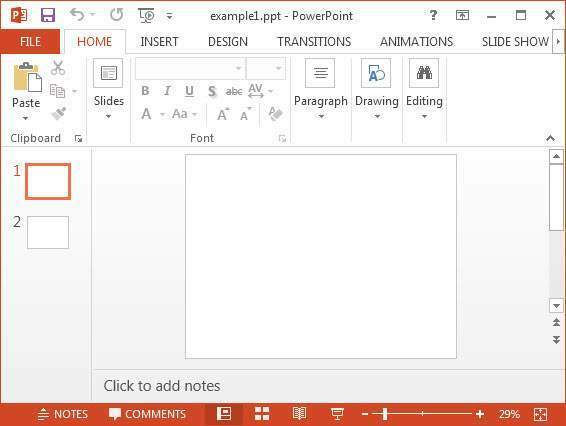 Given below is the complete program to create a blank MS-PowerPoint presentation. To open an existing presentation, instantiate the XMLSlideShow class and pass the FileInputStream object of the file to be edited, as an argument to the XMLSlideShow constructor. You can add slides to a presentation using the createSlide() method of the XMLSlideShow class which is in the org.poi.xslf.usermodel package. After adding slides to a PPT, you can add, perform, read, and write operations on the slides.